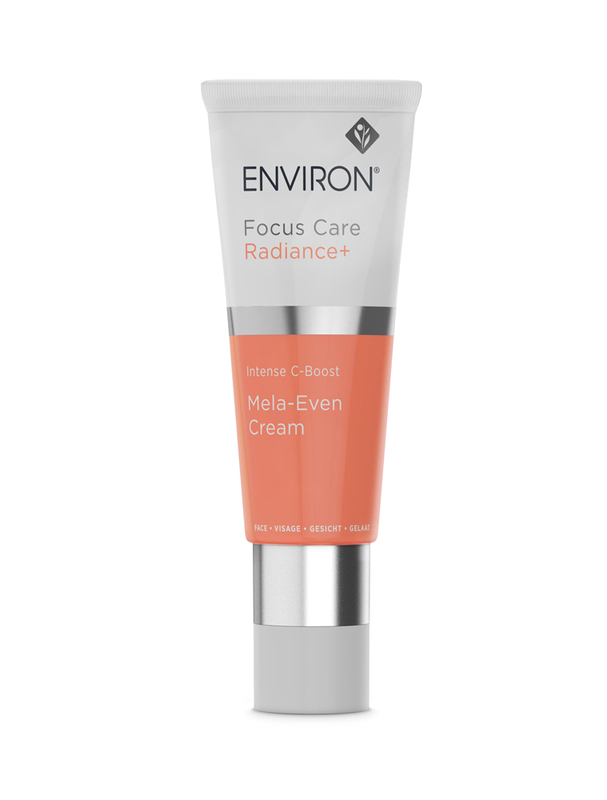 Environ Skincare Intense C-Boost Mela-Even Cream helps reclaim the appearance of a younger, more healthy-looking luminous skin with an even, radiant glow with this technologically advanced Vitamin C infused cream. I've been using the Environ range for about 3 years. My skin has responded overall to the products, which I started using because of some pigmentation spots on my cheeks and forehead. The C-Boost is really important in this process. One big spot totally disappeared which is great but the others remain stubborn which has been disappointing. But I guess everyone's skin responses differently. Three weeks - so far so good. I was recommended this product by a beautician in New Zealand. I previously hadn't heard of Environ, but she told me these products were designed for "resurfacing" which I liked the sound of for my dry-ish skin with some old acne scarring. I've been using the c-boost morning and night under the AVST-1 moisturiser for three weeks, and I have to say I've seen a massive improvement. My skin has less "bumps" (no more congestion, yay!) and the dark spots from acne scars are slightly lighter. Will continue to use it! Uneven skintone, dull skin, acne scarring. Pigmentation, dehydration, sunburn, and redness tend to rear their ugly heads come summertime, so here's how to deal with them.